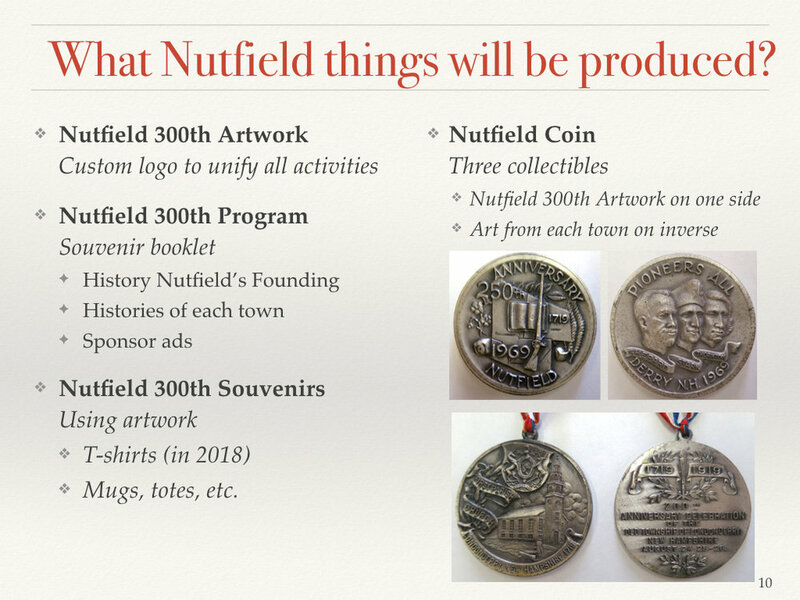 Planning information and resources as we prepare for the 300th Nutfield Celebration activities May–September of 2019. To get involved and help make it happen, please submit the SIGN UP TO HELP! form. Planning meetings schedule and notes. Anniversary preparations are underway through the historical societies, libraries, schools, churches and other groups in Derry, Londonderry, and Windham. 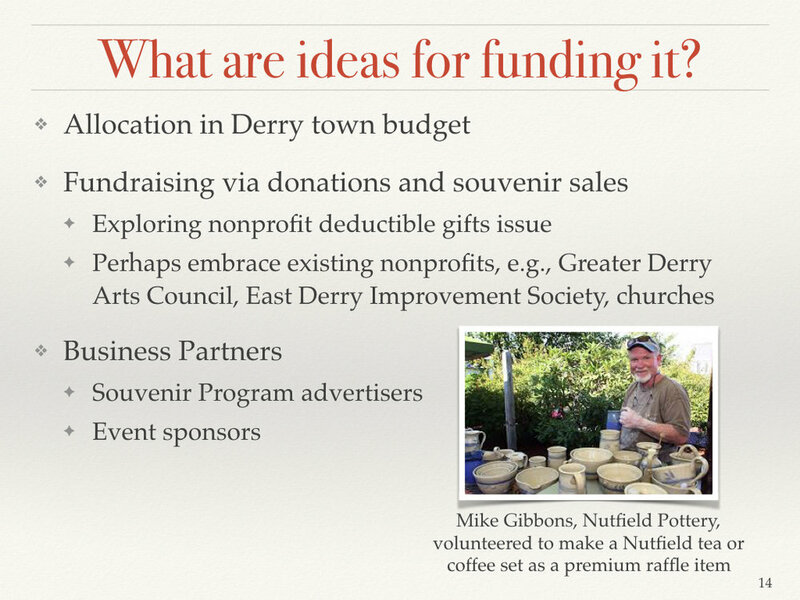 This page will describe these plans as they develop, and provide related resources and information. Below find info on the planning, related blog posts, local press coverage, and more. 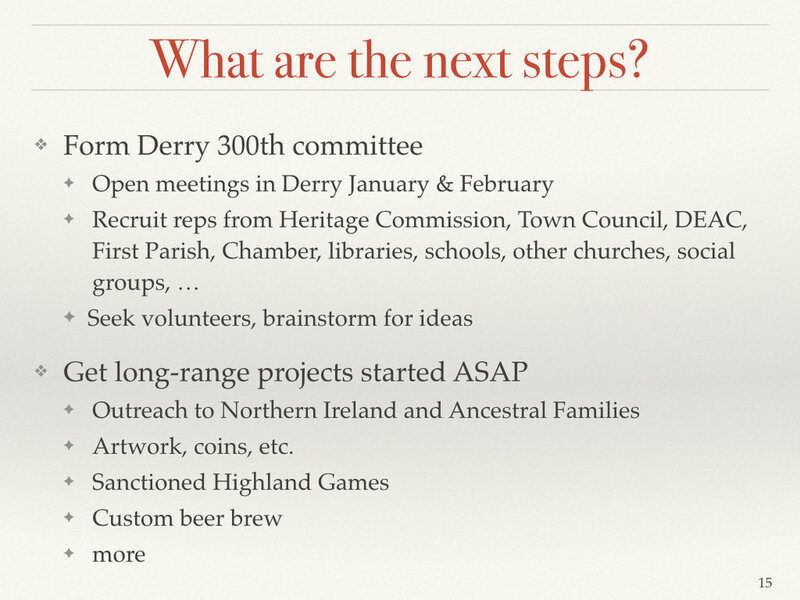 Activities kick off at First Parish Church in East Derry (where the first settlers first settled) in April, 2019 (the First Sermon on April 12, 1719 is considered the founding event). Activity conclude in conjunction with Londonderry Old Home Day, which runs the third week of August, 2019.